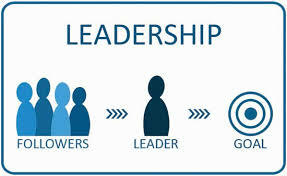 Leadership focuses on an envisioned tomorrow while enlisting others towards it through conviction and commitment. The art of leading others therefore also means if I forget the ultimate, I will be enslaved by the immediate. The old adage of focusing on important things in order to avoid being driven by urgent ones holds true in leading people. If we accept that the art of leading others is about them rather than us, therefore it follows that leadership also means we lose our right to be selfish. A selfish leader is a misnomer indeed! When we abandon our highest priority, we lose our way and people suffer. When leaders and people fail to maintain proper priorities, disappointment always results. Remember the paretto principle which says 80% of all output come from 20% of input. With the right priorities, 20% of our efforts will get 80% of the desired results. But with the wrong priorities, 80% of our effort will get 20% of the desired results.Priorities in leading people are not about working harder, but smarter. Getting the best out of your people and getting the best out of investment that has gone into the business, leading to happy stakeholders (colleagues, community and shareholders) is a very smart undertaking. In fact if anything, this is a responsibility that ought to be approached as a calling, the very purpose for leaders’ existence.